Talon Bladed Swim Jigs Made In U.S.A. By Talon Fishing Unlimited, Inc.
Vibration is the name of the game with our Shindou Bladed Swim Jig with custom tuning that creates a "hunting" action that triggers strikes. 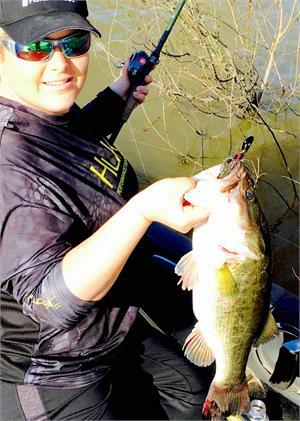 Blade does not strike the head for a completely different, and more stealthy, presentation that other bladed jigs. Built on a 5/0 Straight Shank Mustad Heavy Black Nickel Hook with a custom SuperStainless wire extension. Our Talon V-Claw™ Baitkeeper keeps trailers extra secure without tearing. Realistic gill plates and eye sockets with gel filled 3-D eyes give the head a realistic presentation. Each head is hand painted with custom combinations of color shifting pigments that add to the attraction. And, Talon’s proprietary paint finish system is the toughest on the market for maximum durability. At Talon we take our skirts seriously. Each custom skirt is meticulously hand tied with up to 9 different colors of premium silicone and then copper wire tied to the bait. After all, if you’re paying for a skirted jig we believe the skirt should stay where it belongs no matter how many fish you catch on it. Talon Fishing is known for excellence in innovative product design and performance that gives anglers that extra edge they need to succeed. It’s because we believe details matter, even the smallest ones deserve our attention. From using the very highest quality components to painstaking assembly protocols, each member of our team at Talon takes pride in delivering the very best quality to our customers.